battle of Ramayana symbolizes the victory of good over evil. Elders at home try their best to buy safe crackers for the kids and stay vigilant while they burn those on Diwali. Every kid is told about the do’s and don’ts of bursting crackers, such as not wearing flared clothes, burning crackers from a safe distance, etc. Similarly, you should take care of the people who work for you, i.e. your employees. Buy a health insurance scheme for them, pay their salary on time, help and guide them when they are in need. You should let them do their work in their own way but protect them when they need your support. When your team is working on an important project, you need to pay extra attention while supervising them. Indian families start planning their spending for Diwali days or even weeks in advance. They have to buy new clothes and gifts for everyone at home, sweets for close relatives and friends, purchase jewellery, a new vehicle or other things on this sacred occasion. For such a huge expense, they have to plan in advance and manage their finances accordingly. Similarly, if you want your small business run smoothly during financial troubles, you should plan and manage your finances in advance. Make investments, save money and always keep at least six months’ expenses in your account or get business financing when you plan expansion to keep your business going and growing. Everybody loves gifts, right? Especially, the kids wait for Diwali so that they get new clothes and gifts from elders in the family. People buy, give and receive different gifts and sweets to share with family members, friends and even for their office. We love the variety in our Diwali gifts and sweets, else it becomes boring to eat similar same sweet and get similar gifts from all. Isn’t it? Similarly, in business, if you become redundant, your customers will get bored. You have to introduce new products and services to keep your customers entertained and satisfied. Diversification in your offerings for clients will get you more new customers and various financial benefits. Diwali celebration is incomplete without lights and diyas. Light is a sign of winning over darkness and evil. It signifies that every dark moment or tough phase in life can be overpowered by light, the symbol of hope and new beginnings. In the business world too, there will be many failures and downfalls, but that doesn’t mean it’s the end of your journey. Success comes to those who fight back and keep going even in the darkest times. You endeavor, and willingness will soon make you a more experienced and stronger person. We have been listening to this since our childhood that if the house isn’t cleaned and decorated well, Goddess Laxmi will not enter our house on Diwali night. Cleanliness is the way of life indeed. In Hindu religion, people believe that gods reside in the places where cleanliness thrives. Apart from keeping your home and work area clean, people also decorate them during the festival. They get their house painted, replace old furniture with the new one, buy handicrafts, rangoli colors, lights, diyas, flowers, etc. to decorate places. Similarly, if your office, shop, retail outlet or business space is clean and well maintained, it will attract more customers. Who wants to visit a messy and untidy area again? People prefer going to properly managed places to shop or conduct business. So keep your workplace clean and maintained. We hope that with these business lessons in mind, your business touches new heights of success this festival season. Wish you and your business a very Happy Diwali! We love our readers & you are important to us . Feel free to drop on a line or two about your experience. It's that time of the year when the skies break out in a riot of colors and all and sundry forget their differences of caste, creed and religion and come together to celebrate the festival of Holi. There is no better time of the year to celebrate colors in all their glory. The Holika bonfire is ignited the night before the Holi, bringing people gathered together for an evening of dance and song. The following day, the bonfire gives way for a free-for-all carnival of color. Participants play, chasing each other with colored water and powder. On this day we have an opportunity to leave all the worries behind and appreciate the good things in our lives. However, this festival also teaches us some unique money lessons. Like the numerous other festivals that we celebrate in India, Holi too is a celebration of the victory of good over evil that we celebrate by burning ‘Holika’. Holika was the wicked sister of the evil king Hiranyakashyapu who wanted to kill his own son Prahlad because he was a devotee of Lord Vishnu. 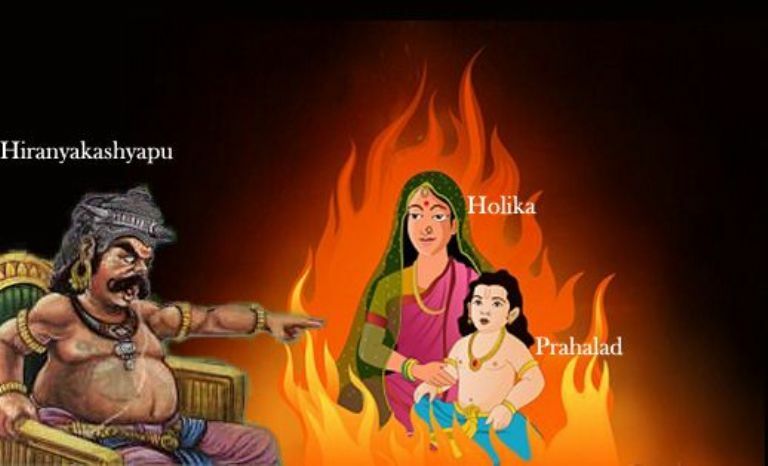 Holika entered the fire with little Prahlad on her lap, with the intentions of killing him only to be burnt to cinders herself. Prahlad however, escaped unscathed. To commemorate this victory of Prahlad we light a bonfire each year the day before Holi. So just as you clean out your homes and streets on the eve of Holi and rejoice in the burning of Holika, pledge to burn out the burden of bad debt that is impacting your CIBIL score negatively as well. Cleaning your portfolio maybe a tough task, but make a pledge to embark upon this journey this Holi if bad debts are weighing you down. - Holi is also a festival that celebrates the onset of spring. 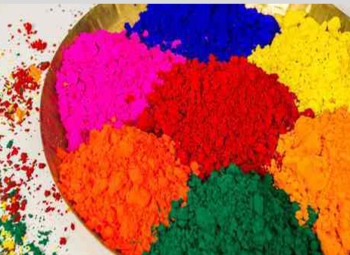 This is the reason we bring out various colors of gulal or colored powder that were originally extracted from flowers. Holi with just one color would seem staid and boring. It’s the diverse colors that we smear on each other and look like spectacles ourselves that makes Holi so interesting and enjoyable! The festival of Holi reiterates this maxim and teaches you to diversify your investments among various asset classes so as to minimize your risks and maximize your returns. 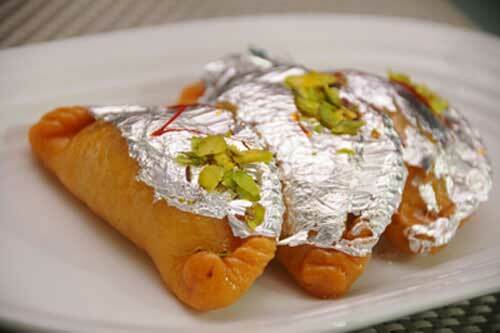 No Indian festival is complete without special recipes, mostly thus catering to the sweet tooth. Thus on Holi we have gujiyas, shakaar paare, phirnis and drink thandais. These Holi savories carry some special and sweet lessons too! So just as you indulge/indulged in some high pitched revelry tomorrow/today, do give a thought to these money lessons that Holi carries and celebrate in style. Thus, the festival of holi should be celebrated in decent way. We must realize that the festival of joy and friendship, we must not behave badly and the real essence of festival should be maintained. Christmas is celebrated to remember the birth of Jesus Christ, who Christians believe is the Son of God. The name 'Christmas' comes from the Mass of Christ (or Jesus). A Mass service (which is sometimes called Communion or Eucharist) is where Christians remember that Jesus died for us and then came back to life. The 'Christ-Mass' service was the only one that was allowed to take place after sunset (and before sunrise the next day), so people had it at Midnight! So we get the name Christ-Mass, shortened to Christmas. Christmas is now celebrated by people around the world, whether they are Christians or not. It's a time when family and friends come together and remember the good things they have. People, and especially children, also like Christmas as it's a time when you give and receive presents! What makes the holiday season even more charming is the fact that all around the world, countries have developed their own Christmas traditions. Christmas is all about food, and in Japan, this food is associated with three letters: KFC. People flock to the American fast-food chain KFC to eat – get your drumsticks out – “Kurisumasu ni wa kentakkii!” aka “Kentucky For Christmas!” The tradition of eating “(Fried) Christmas chicken” goes back to a marketing campaign in 1974 – and to this day, KFC records the highest sales volume each year on Christmas Eve. Since the late 19th century, the Spanish National Lottery has been giving out the biggest amount of money of the year: “El Gordo” or “The Fat One.” It has become a huge social event, usually on December 22, and people get together with dozens of lottery tickets each, in high hopes of being one of the lucky winners. The lottery numbers are traditionally sung by a choir of twenty-two school children, and the whole country basically stands still in hopes for the Christmas present of a lifetime. In case you’re not a fan of Christmas trees, can we interest you in a Christmas log? In many parts of Spain, the gifts are brought by Tió de Nadal or Christmas log – a piece of wood that is often decorated with a face and little legs. However, the log doesn’t just bring the presents to the families: Tió de Nadal also gets fed at night, and it can cozy up with its own little blanket. Cute, right? Well, the cuteness stops right there: On Christmas Eve, the log is put in the fireplace where the families beat the poor little log with sticks until it… uhm… it poops presents and candies. Now would probably be a good time to mention that Tió de Nadal has a nickname: Caga Tió, aka sh*t log. In Norway, Christmas means hiding your mops and brooms – not because people don’t want to clean, but because Norwegians are a little superstitious and want to prevent evil spirits, who return to Earth that night, from stealing the brooms and going on joyrides in the Christmas sky. Believe it or not, there such as thing as a Christmas spider. In the Ukraine, the Christmas trees are decorated with spider webs – don’t freak out, they are ornaments that look like spider webs, which are said to bring good luck. The tale goes all the way back to a poor woman who couldn’t afford ornaments to decorate her tree with. The next morning, she woke up and her tree was covered with spider webs that look all sparkly and beautiful in the sunlight. Other countries, like Poland or Germany, consider it good luck if they find a spider or spider web in the Christmas tree. Pudding – in all flavors and consistencies – is a popular Christmas delight. In Slovakia and parts of the Ukraine, pudding does not only warm the heart, it can also predict the future: the oldest male member of the family takes a spoonful or of loksa pudding and throws it at the ceiling. The more pudding sticks, the more luck you’ll have. Simple as that. The award for Coolest Mode of Christmas Transportation goes to Venezuela’s capital, Caracas: There, people don’t just walk to Christmas mass (Christmass? ), no, they roller-skate. Parts of the city are even blocked off, so everyone can safely skate to church. Ganesh Chaturthi – The festival of elephant headed God It is the time of the year when we enjoy yummy modaks, ladoos and other sweets, scrumptious meals and visit pandals to see different idols of Ganpatis, Yes, Bappa is here again!!! Ganesh Chaturthi is a Hindu Festival celebrated to the honor of the elephant headed God- Lord Ganesha’s Birthday. He is the second son of Lord Shiva and Goddess Parvati. Lord Ganesh is known by 108 different names and is also considered as the Lord of arts and sciences and the deva of wisdom. "Many a times, we fall in the trap of excessive hard work. Without giving things any further thought, we immediately take the task into our hands and set forth to completing it. We fail to realize that there can be multiple ways of accomplishing something and surprisingly, some of them can be very simple and fast. Hard work to smart work only means a shift from more physical efforts to more creative efforts, more presence of mind, having wider knowledge and leveraging all resources effectively." We hope you remember this hidden message from Lord Ganesha’s small deed. A very Happy Ganesh Chaturthi – From Team Vikay!! to be able to mine more with less cost. the make in india Initiatives. - India is the 4th largest producer of iron ore.
clearance at 19 Ports and 17 Air cargo complexes.